Viburnum Opulus 'Roseum' or 'Guelder Rose' | Nurseries Online UK"
Viburnun opulus or Guelder Rose is a bushy deciduous shrub suitable for use as a hedging plant. Also known as the 'Snowball Tree' Viburnum opulus roseum, a sterile cultivar is well know for its large showy 'snowball' flowers in spring. Foliage takes on a red color in autumn. The 'snowballs' open as green and slowly turn to white, very lightly perfumed, it is the foliage and the flowers that are the main attraction. 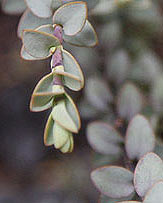 Regarded as an old fashioned 'Heirloom' plant Viburnun opulus has been incultivation in one form or the other for 100s of years. The flowers are also used in floristry and many gardeners take sections as cut flowers in the season. 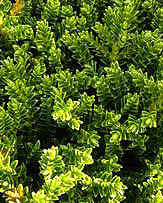 Popular because is is both frost and drought tolerant, Viburnun opulus grows well in part shade in a humus rich, moist free draining soil. Pruning to keep in shape is fairly simple and older plants can be cut back hard to help regeneration. The 'Snowball tree' is suited to use as feature at the back if the border. Viburnum opulus roseum is sterile and is grown from cuttings only. In fact is was originally known as Viburnum opulus 'sterilis'. Buy Direct from the Growers - FREE delivery over ¬£50. Huge discounts on orders over ¬£300. 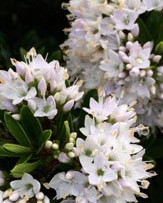 Privet, Yew, Escallonia, Griselinia, Box, Laurel, Beech, Hawthorn, Hornbeam, Lavender, Holly, Lonicera, Photinia, Thuja and many others - plants from 30cm to 3m plus. 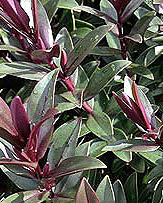 Suppliers of hedging plants to gardeners, farms and estates. Our range includes popular hedging such as privet, beech, blackthorn, dogwood, guelder rose, hornbeam & yew. More Hedging Plants for the UK including a wide range of hedging styles suitable for hedges in almost any situati on, hedging plants include low and tall growing plants, hedging plants for shade and sun as well as flowering, fast growing and slow growing hedges.